FAHRLAND – what nobody knows should be everyone’s gold. The noughties were a naughty time for the Sound Of Cologne – playfulness ensued and the collective known as FIRM were central figures of that period. The musician named GEIGER was there to lead the way – to pinpoint an ambition or a genre to his music is no strong feat, but his impact was a clear influence on what the music of KOMPAKT would evolve to be, from here and beyond. 2018 marks the return of GEIGER – resurrected as FAHRLAND with the release of “MIXTAPE VOL. 1” (KOMPAKT 382 / CD142) – a sonically perplexing but undeniably groovy full length that we feel was one of KOMPAKT’s most ambitious and fulfilling releases of recent times. 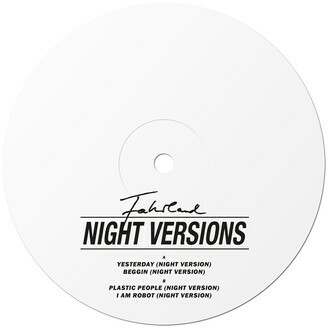 FAHRLAND wanted to take the album to the dance floors of today so has come up with “NIGHT VERSIONS”. 4 club ready versions of key album tracks for those that require a bit more thump before rump.